Is it Covered in an Auto Claim? Car theft can take you by surprise. You left your car on a side street, and when you came to get it in the morning, the window was broken, the stereo removed, the lock on the glove compartment jimmied, and your portable GPS device stolen. It's time to call the insurance company - but what's covered and what isn't? The answer may be more complicated than it seems. Basic liability insurance will never cover car parts and accessories that are stolen, broken, or damaged. As a rule of thumb, collision/comprehensive insurance covers parts and accessories that are permanently attached to your vehicle, although sometimes carriers will refuse to reimburse the cost of custom or specialty parts. Items of property that are left in your car are never covered by car insurance, although you may be able to submit a successful claim under renter's or homeowner's insurance. Remember that, depending on the size of your deductible, it may not be worth it to file a claim, even if the item is covered by your insurance. If a rock cracks your windshield while you're driving, your collision/comprehensive insurance will likely cover it - but if the repair costs $300, and your deductible is $500, it leads to unnecessary paperwork and doesn't actually save you any money. If the claim is for a little bit over your deductible, but also leads to an increase in your insurance premium, it could even cost you money in the long term. However, if your car is broken into and there are a lot of smaller claims from a single incident, your insurance will help you pay for all expenses over the cost of the deductible. Be sure to file a police report in the case of vandalism or theft - most insurance companies require the report before they will process insurance claims. In addition, you can take pictures of the crime scene, detailing any damages. However, be careful not to tamper with the scene before the police arrive, as doing so could impede the processing of your claim. Any additional documentation you may require for specific claims is noted below. Depending on the item, car insurance companies will usually, sometimes, or never cover stolen or damaged property. The following list includes many of the most commonly stolen items, as well as their coverage under most insurance plans. Windows: Most car insurance companies will replace a cracked or broken windshield. With many plans, a window claim may not even lead to a raise in your rates. However, pay attention to your deductible - the final cost is often low enough that your insurance won't even kick in. Broken lock: If a thief breaks the lock on your car door, it will likely be covered by collision/comprehensive insurance. The cost of a replacement or repair on its own may not be worth using insurance, but since a broken lock often means other items were stolen from or damaged in your car, the claim filed may end up going well over the deductible. Broken glove compartment: Like a broken lock, a broken glove compartment (or a broken armrest, or any other storage area damaged in a break-in) will be covered by comprehensive/collision insurance. Rear-view and side mirrors: Mirrors are covered by most collision/comprehensive insurance plans. However, keep in mind that mirror replacements are often relatively inexpensive, and depending on the size of your deductible, it may not be worth it to file a claim. Catalytic converter: Catalytic converters contain valuable precious metals like rhodium and platinum, which makes them a popular target for thieves in many areas. Most insurance plans will cover a replacement, although a new catalytic converter can cost as little as $200, which falls within range for most deductibles. A flat tire: Standard insurance policies won't cover things like a flat tire (and the cost of towing), or a locksmith if you lock your keys in the car, or a delivery of gas or oil if you run out on the highway. However, if you opt for a roadside assistance option, you can choose to have these situations covered at a relatively low rate. GPS units: A GPS unit will be covered by car insurance only if it is permanently attached to your vehicle. (A suction cup on the dashboard doesn't count!) If your car has an in-dash GPS unit, comprehensive/collision insurance will likely cover a theft. While the cost of the actual stereo system may not justify filing a claim, the removal of an in-dash GPS unit often causes significant damage caused to the surrounding area, so be sure to include all damage in any claim filed. Stereo equipment: A stereo that is permanently attached to your vehicle is generally covered by comprehensive/collision insurance. A portable stereo or one that can easily be removed is not likely to be covered. As in the case of a GPS unit, be sure to document any damage to the surrounding area that may have occurred in the case of a stereo theft. Rims: Most comprehensive insurance plans cover basic rims. 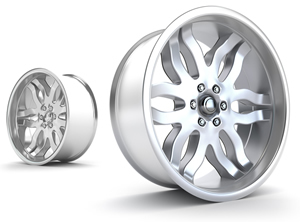 However, if you have customized rims, these will not always be covered by your insurance. Make sure to ask your insurance provider their policy, and keep records of your purchase in case the insurance company asks you to show proof. Custom parts: Many people choose to soup up their cars with custom parts, such as grilles, spoilers, or specialty lights. Different carriers have different policies for custom parts, so ask around. Many companies will allow you to purchase a rider insuring additional parts, but keep in mind that this will raise your premium. As with customized rims, make sure to document that you have purchased and installed the parts. Keep receipts and take photos or videos of the parts in action. Paint jobs: If your car's paint gets chipped or scratched, your insurance may cover a touch-up. However, touch-ups may only cost a few hundred dollars, so research your options before filing a claim. Laptops: Laptops are not covered by any form of car insurance. Don't leave your laptop in a visible place in your car. If it's a company computer, check with your office to see if it's insured under their plan. iPods or other mp3 players: It doesn't matter if your iPod is your car's primary audio system - an mp3 player is never covered by comprehensive/collision insurance. Jewelry: Don't ever leave valuables like jewelry in the car. If someone breaks in and steals it, you're out of luck as far as car insurance goes. You may be able to recover some value through a homeowner's or renter's insurance policy. 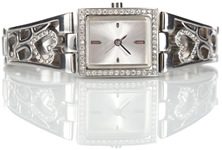 Depending on its value, you may also want to purchase an insurance plan with a personal articles policy to ensure your valuable jewelry is protected. Sports Equipment: Lacrosse sticks, tennis rackets, ski or snowboarding equipment, and other sports equipment can be extremely expensive, and an appealing target for thieves. Unfortunately, you're not covered under your car insurance. You may be able to collect some money from renter's or homeowner's insurance, depending on your plan.